DETROIT (AP) — When DC Comics decided to blow up its fabled universe and create a brave, diverse future, Geoff Johns drew from the past for a new character: his own background as an Arab-American. 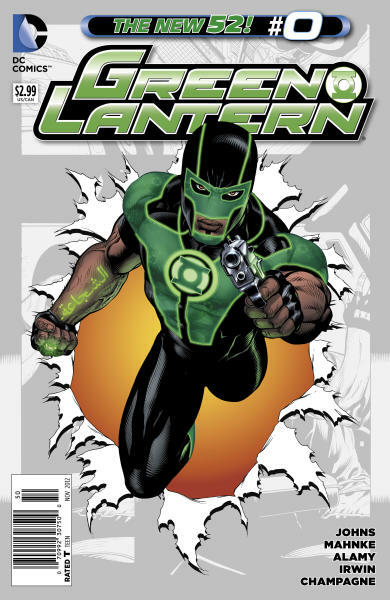 The company's chief creative officer and writer of the relaunched "Green Lantern" series dreamed up Simon Baz, DC's most prominent Arab-American superhero and the first to wear a Green Lantern ring. The character and creator share Lebanese ancestry and hail from the Detroit area, which boasts one of the largest and oldest Arab communities in the United States. "I thought a lot about it — I thought back to what was familiar to me," Johns, 39, told The Associated Press by phone last week from Los Angeles, where he now lives. "This is such a personal story." The Green Lantern mantle in DC Comics is no stranger to diversity with its ranks made up of men, women, aliens — animal, vegetable and mineral — from across the universe. Earlier this year an alternate universe Green Lantern was reintroduced as openly gay. Baz's story begins in a standalone "zero issue" available Wednesday that's part of a companywide effort to fill in the gaps or tell the origins of a character or team. Johns has no plans for Baz to fade into the background — the character in February is bound for the Justice League of America, one of DC's premier super team books, to fight alongside Green Arrow, Catwoman and Hawkman. Johns said he took economic as well as ethnic cues for the character from his native Detroit area, with Baz resorting to stealing cars after being laid off from his automotive engineering job. He steals the wrong car, which inadvertently steers him into a terrorism probe and, eventually, an unexpected call to join the universe's galactic police force. "Obviously, it's affecting everybody," said Johns, who grew up in nearby suburbs in a Lebanese Christian household and got into comics when he discovered his uncle's old collection in his Arab grandmother's attic. "One of the things I really wanted to show was its effect on Simon and his family in a very negative way." Baz is not the first Arab or Muslim character to grace — or menace, as has historically been the case — the comic world. Marvel Comics has Dust, a young Afghan woman whose mutant ability to manipulate sand and dust has been part of the popular X-Men books. DC Comics in late 2010 introduced Nightrunner, a young Muslim hero of Algerian descent reared in Paris. He is part of the global network of crime fighters set up by Batman alter-ego Bruce Wayne. Frank Miller, whose dark and moody take on Batman in "The Dark Knight Returns" in 1986 energized the character, took a different tack in his recent book, "Holy Terror," which tells the story of The Fixer and his efforts to stamp out Islamic terrorists. The graphic novel initially took root as a look at Batman's efforts to fight terrorism, which grew out of Miller's experiences of being in New York on 9/11. A broader mission to bring Islamic heroes and principles to the comic world comes from Naif Al-Mutawa, creator of "The 99." The U.S. educated psychologist from Kuwait has been gaining followers across the globe since the 2006 debut of the comic book that spawned a TV series. "The 99" is named after the number of qualities the Quran attributes to God: strength, courage, wisdom and mercy among them. The series gained a wide audience in 2010, when it worked with DC on a six-issue crossover that teamed the "The 99" with The Justice League of America. Johns, who also has written stories starring Superman, The Flash and Teen Titans, said going diverse only works if there's a good story, and he believes he found that with Baz. But don't mistake him for a hero in the beginning: Baz disappoints both devout Muslims — his forearm tattoo that reads "courage" in Arabic is considered "haram," or religiously forbidden — and broader society by turning to a life of crime. "He's not a perfect character. He's obviously made some mistakes in his life, but that makes him more compelling and relatable," he said. "Hopefully (it's) a compelling character regardless of culture or ethnic background. ... But I think it's great to have an Arab-American superhero. This was opportunity and a chance to really go for it." 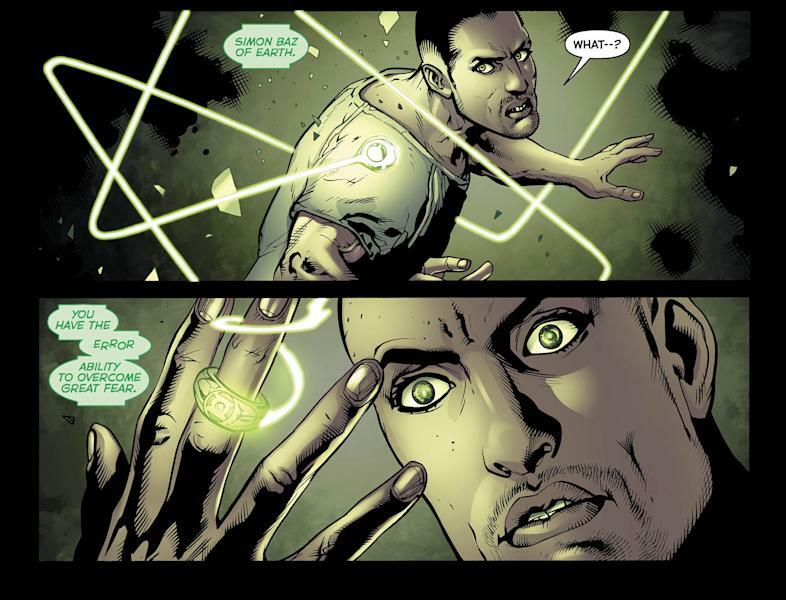 Of course, Johns hopes Green Lantern fans accept Baz, who joins other humans who have been "chosen," including Hal Jordan, John Stewart, Guy Gardner and Kyle Rayner. The overall relaunch has been good for DC, which has seen a solid gain in sales and critical reception — as well as some expected grumbling — since coming out with the "New 52" last year. Johns also sees the debut of Baz as a chance to reconnect with people in his home state: He's scheduled to visit Dearborn this weekend for events related to the release that include a signing Friday at a comic book store and a free presentation Saturday on his career and characters at the Arab American National Museum. He worked with museum staff to make sure he got certain details right about his character and the Arab-Muslim community. "It doesn't completely define the character but it shapes the character," he said. "My biggest hope is that people embrace it and understand what we're trying to do." Associated Press Writer Matt Moore contributed to this report from Philadelphia.